Cost of Living in Los Angeles as a Foreigner Per Year. Cost of Living in Los Angeles… Los Angeles, also known as the city of angels is known as the second most populous city in the United States, after the New york city, and also, it is the largest city in the Western United State, with an estimate of four million people living there. 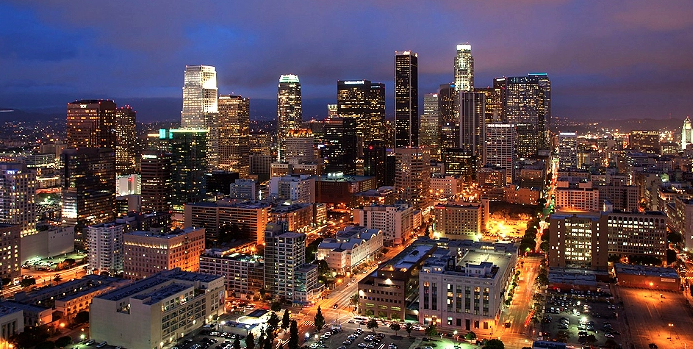 The city of Los Angeles is the financial, cultural and commercial center of Southern California. It is located in a large basin bounded by the Pacific Ocean on one side and by high mountains. Los Angeles is the center of Hollywood entertainment industry. The history of Los Angeles began with a colonial Mexican town which was founded by 11 Mexican families which were known as Los Pobladores that established a settlement in Southern part of California which changed little in three decades after 1848, when California became a part of the United States. Holly hood made the city popular and the Second World War brought new industry. Los Angeles gained their first News Paper in the year 1870. The city suffered flood in the late 19 century. Since the 1960 which made people migrate to South California. The growth down and traffic delays became famous. In the year 1870 Los Angeles had their first News Paper. Moreover, in the 1980s the orange industry of California boomed. When the first word war began, many Americans left their country into Los Angeles. The discovery of oil in the 1980s brought serious growth to the city. Furthermore, in the year 1943, was involved in a riot called the Zoot Suit riots in which the Mexicans were attacked. In the year 1965 there was another riot. This led to the police stopping to question the African American on the 11th of August. During their tribulations, the officers were not guilty. The result of this was a three day riot which at the end 58 people were killed. An earthquake visited Los Angeles which resulted to the death of 57 people and thousands of people were injured, this was a great loss to the people of Los Angeles. Not too long Los Angeles recovered. Many popular buildings were brought up between the late 20th century and the early 21st century. Theme building was erected, the US bank tower was also built and the first light rail line was exposed in the 1990. In the 21st century, the cathedral of our lady of the Angeles which was opened in the year 2002.It might interest you to know that the special Olympics summer games took place in Los Angeles in the year 2015.currently, the population of Los Angeles is up to 3.9 million. I will give you a brief summary of the cost of yearly living in Los Angeles especially for foreigners. Four person family estimated cost monthly is summed up to 1,312,992.97N [3,624.65$] without rent, estimated cost yearly is summed up to 15,755,915.64N [43,495.84$]. Cost of living index in Los Angeles is 128.01%higher than in Lagos. Cost of living rank 36th out of 439 cities in the world. Los Angeles has a cost of living index of 79.23. US DOLLAR [USD] is the currency used in Los Angeles.